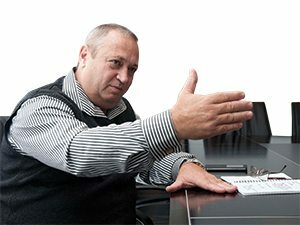 [miningmx.com] – Neal Froneman, CEO of Sibanye Gold, believed a wage deal with the Association of Mineworkers & Construction Union (AMCU) was possible even though the union wouldn’t engage in negotiations, said Bloomberg News, citing the South African gold executive. “I’m not going to say we’ll raise the offer, but maybe there are other things that could be done to add value to those organizations,” Froneman told Bloomberg News. “There are many things – shift patterns, funeral benefits,” he said. The AMCU would only engage with gold companies if they improved the current package, its president Joseph Mathunjwa told reporters Wednesday. It’s asking for a basic entry-level salary of about R12,500 a month. Sibanye has offered to raise pay to about R8,000 a month over the next three years, said Bloomberg News.